Cancer is a Battle, a Battle Where Information is Your Friend. Our mission at Cancer Network is to collect information from various resources for treating cancer. You'll discover options and alternatives used to treat cancer and associated conditions. How Do I Deal With Cancer - Mentally and Physically? The word "Cancer" triggers many negative emotions and the mental battle can be just as draining as the physical one; the fact is - everyone reacts differently. So the question is, how do you deal with the initial impact of finding out you have cancer? Cancer: is the mutation of good cells gone bad. These mutated cells eventually overtake the good ones and destroy parts of or the entire body. This is the simple explanation; there are many forms of cancer which your doctor can explain in detail with you. "Knowing your enemy is half the battle of winning." So often we use our energy thinking and worrying about things we can't control. This is wasted time which is very precious in these situations. The sooner you get pass this stage, the sooner you can start gathering information. So what do I do with this information? It's going to be like piecing together a puzzle, some of the pieces will fit while others won't. You'll read about some people have beaten cancer, and some that haven't...and you'll definitely be wondering, why? Nobody exactly knows why. Some forms of cancer are weaker than others and can be treated successfully, while others can't. There is one common thread though, and it lies with a positive attitude and information. How Can I Give Myself The Best Chance to Beat This? It's all about reducing stress and giving your body good nutrients and searching for answers. Step 1 - Consult with your doctor. 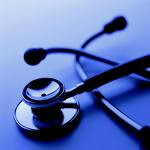 Your doctor will of course be in the loop with you, extract as much information from them as possible. They will provide a whole set of treatment options for the type of cancer you have. Step 2 - Do your own research. When it comes to my body I don't take any ones word for it; keep digging for information. Step 3 - Look at natural alternatives. Let your doctor handle the medical side of the treatment, spend your energy finding out how natural things, such as Herbal Treatments, can help strengthen your body. Step 4 - Positive energy/attitude. Look at those crazy things we laugh at when we're healthy, like meditation and yoga and Thought Genics - they won't seem so crazy when you're facing the thoughts of cancer. You have a right to feel discouraged and afraid, but you also have a right to fight, and this is the right we want you to focus on. If you read the statistics, if you dwell on the mortality rates, then yes, the odds don't look good. The key word here is Dwell. Lets back up and think about this. Cancer is the compromising of your immune system. Something has weakened your immune system to a point where cancer cells took over, so the answer is, how to reverse it? Your doctor will recommend treatments like chemo and radiation, this treatment kills both good and bad cells. This treatment has a limited success rate. Ok, we can deal with that, but you can help yourself both mentally and physically - if you want to. And this is where the secret lies in winning the battle. Lets be real honest here: We all die someday, but I just can't see letting cancer be the thing to end us without a fight; especially when there are things we can do. Cancer is definitely a challenge, a challenge many people surrender to right from the start. If you're up to the challenge, then you'll use your energy to look for answers and give your body every fighting chance you can. This will include alternatives provided by nature and Holistic Treatments. Cancer is a horrible condition, there is no denying that. You body has turned against you for one reason or another. Now it's time to do a reality check - did I eat wrong, did I smoke to much, did I take on to much stress? Or it could be a no-fault situation where genetics was the problem. Here's the challenge: you want to maintain a posture of hope and action. The action required to look for alternatives, understand how they help, and give your body the best chance it has to overcome cancer. Copyright 2010 - Cancer Network. Powered by Blogger.